All environmental problems are devastating to the economy and are rooted in economic choices by individuals. The economy and the environment are inseparable. The economy is the environment. The balancing of economy and ecology has yet to be achieved. Important sectors are resisting necessary change, instead of working towards it. Much of the governing elite do not believe that environmental issues are important. This will soon cause widespread panic. Right now the panic is confined to intelligent individuals and neglected disaster areas. I wanted to show people this all at once, because that’s when it’s happening; All at once. People don’t have time to research something that’s all at once everywhere! We’ll have to abandon responsibility! We’ll have to create a theory of everything that reverses time to unfuck the world! Tremendous acts of education are possible! Conscious choices to let the world burn… are being made every day. Read about of Volkswagen 11 million diesel cars rigged with software, designed to cheat emissions tests, to evade limits to carbon release into the atmosphere. — Why did they do that? Why aren’t they recalled? Is a zero-emissions control system even possible to build for car, truck, and plane engines? Unfortunately we likely do not have time to wait for that invention. find and embed images from space satellite images of gas flaring … maybe ? Satellite measurements track burned gas by country as policymakers seek to reduce emissions. EMBED THIS ARTICLE’s IMAGE ILLUSTRATIVE GRAPH TIMELINE ??? or just refer to it.. too large..
read this.. When children are suing the government, and winning, you know something went wrong. 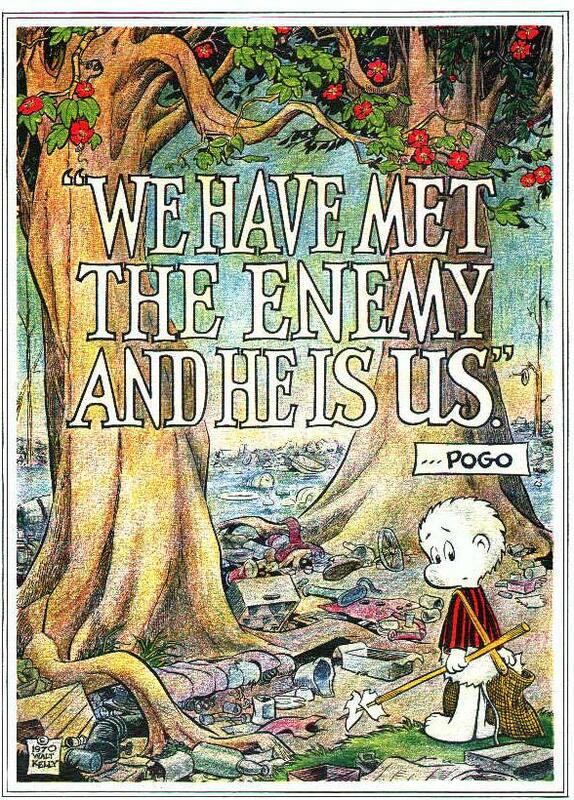 “Trees are our enemy.” So said the US Army Commander in 1967, as they prepared to empty gallons of their deadly herbicide, Agent Orange, over the south of Viet Nam to defoliate and leave the enemy nowhere to hide. Agent Orange contained dioxin, one of the most poisonous substances known to man. It sounds almost too obvious to say that ‘collateral damage’ as they call it, would be inevitable. As the land and water supplies became contaminated, the first birth defects were reported in 1969, and quickly covered up. Philip had made his name photographing the conflict in Viet Nam, with the more overt war accessories of guns and tanks and destruction, and publishing the 1971 book ‘Viet Nam Inc.’, a respected and important photobook that was responsible for turning the tide of public opinion in the US against the war. —> also “Agent Orange – Collateral Damage in Viet Nam” in 2003. FIVE MILLION – ACRES OF FOREST DESTROYED. 500,000 – ACRES OF FARMLAND DESTROYED. American Army Generals Too Afraid to Fight with Tree Cover. So We Fight the Trees First. They’re the Front Line. Another catastrophically immoral war crime to add to the books.. Following the chemical warfare sent from America, natural regeneration of the lost forest was not possible.. Moreover, with the defoliated lands unable to hold on to the soil during the heavy rains, there resulted a depletion of soil nutrients and large scale erosion, especially in the mountainous regions affecting 28 river basins in southern Vietnam. Even with intense reforestation, it would take a hundred years or more to bring these areas back to pre-war conditions. Hundreds of tree species were among the victims of the herbicides. A minimum of 20 million cubic meters of timber was destroyed, though estimates range as high as 90 million taking into consideration the additional impact of plows, bombing, napalm strikes and harvesting of defoliated trees. The destruction was so great that the terms “ecological warfare” and, later, “ecocide” were coined to describe it. About 10 percent of the trees sprayed died from a single spray run. Multiple sprayings resulted in increased mortality for the trees, as did following herbicide missions with napalm or bombing strikes. OVER THE COURSE OF TEN YEARS –> the US Air Force flew nearly 20,000 herbicide spray missions to destroy the forest cover as well as agricultural lands in key areas of southern Vietnam. More than five million acres of forests and agricultural lands were sprayed at least once, approximately 10% of total land area of southern Vietnam, and about 20% of the forest cover. In addition to Agent Orange… 15% of the spray runs, mainly using Agent Blue, were targeted against agricultural lands an attempt to deny food to the enemy. However, civilian food sources were also damaged. Annual grassland fires in southern Vietnam stem in part from the destruction of forested areas by US military herbicides, explosives, and mechanical land-clearing and -burning operations during the Vietnam War. EMBED SATELLITE IMAGES OF INDONESIA FOREST FIRES in 1997 and more recent year !!! A 2002 study, published in the Lancet, indicated that nearly two million people die each year, in India alone, from conditions related to the brown cloud. Natural causes of wildfires include lightning, sparks from rockfalls, spontaneous combustion, and volcanic eruption. Human causes of wildfires include sparks from machine equipment, discarded cigarettes, and crazy idiots. Wildfires are either started accidentally by humans or by natural causes like lightning. Greenhouse gas emissions, via the greenhouse effect, are causing the global temperature to increase and the climate to change. Wildfires pose risks to human life, property and infrastructure – and directly kill plants and animals, destroying their habitat. HISTORY AND SCIENCE OF WILDFIRES … ? In 1967 the UN Outer Space Treaty banned the use of nuclear weapons in space, making any study of nuking the moon a moot point. Other Hurricanes causing oceans to move inland? Even before sea levels rise? (Over Four Million Barrels) “Over Two Hundred Million Gallons” of crude oil spilled into the gulf over the course of three months before capping it. Lawsuits are being filed to hold oil and gas companies responsible for the destruction. The cost, which totals $44 billion after the tax impact is factored out, cover multiple comprehensive settlements with federal and state authorities, property owners, shareholders, and consumers. Burning the oil from the ocean? Making it much worse? A little worse? Or a little better? The latest health risk in the Gulf of Mexico is an abundance of money, says one Louisiana fisherman. BP is paying fishermen up to $3,000 a day to help clean up the oil, according to a contract between BP and one of the fishermen obtained by CNN. He says the nine fishermen who were brought to the hospital while working for BP are unwilling to talk because they fear losing their jobs. The men suffered symptoms such as shortness of breath, irritated nasal passages, nausea and headaches. Graham MacEwen, spokesperson for the petroleum company, says workers have no reason to fear retaliation if they speak out and should feel free to voice any safety concerns to their supervisors. Several of the shrimpers contacted by CNN declined to talk on the record. When the clean-up effort first started, BP required those hired to work in their “Vessels of Opportunity” program to sign confidentiality agreements, according to Jim Klick, an attorney representing two fishermen who became ill while working for BP. But he says the clause was taken out after objections from lawyers. Even those who didn’t sign a confidentiality agreement are scared of retaliation by BP if they speak out. What made the fishermen sick? Guidry says it’s breathing in vapors from a combination of the oil and Corexit, the dispersant being used to break down the oil, but Tony Hayward, the chief executive officer of BP, has another theory. 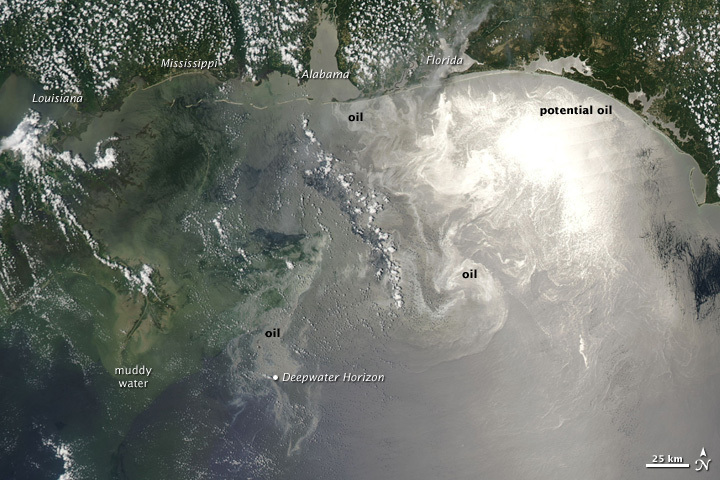 More than one million gallons PER DAY spilled into the ocean for EIGHTY-SEVEN DAYS. ‘100 Days of the BP Oil Spill’ – Time Magazine. The following text is taken from this article. Use of Corexit had been authorized years(?) before under the federal Oil Pollution Act. BP had lied about how safe Corexit is, and proof of its dishonesty would eventually fall into the hands of the Government Accountability Project.. The combination of Corexit and crude oil also caused terrible damage to gulf wildlife and ecosystems, including an unprecedented number of seafood mutations; declines of up to 80 percent in seafood catch; and massive die-offs of the microscopic life-forms at the base of the marine food chain. The most astonishing thing about BP’s cover-up? It was carried out in plain sight, right in front of the world’s uncomprehending news media (including, I regret to say, this reporter). The ~ 1.84 million gallons of Corexit that BP applied during the cleanup served a public-relations purpose: They made the oil spill all but disappear, at least from TV screens. By late July 2010, the Associated Press and The New York Times were questioning whether the spill had been such a big deal after all. Time went so far as to assert that right-wing talk-radio host Rush Limbaugh “has a point” when he accused journalists and environmentalists of exaggerating the crisis. BP hid that massive amount of oil from TV cameras and the price that this “disappearing act” imposed on cleanup workers, coastal residents, and the ecosystem of the gulf. That story can now be told because an anonymous whistleblower has provided evidence that BP was warned in advance about the safety risks of attempting to cover up its leaking oil. Nevertheless, BP proceeded. Furthermore, BP appears to have withheld these safety warnings, as well as protective measures, both from the thousands of workers hired for the cleanup and from the millions of Gulf Coast residents who stood to be affected. “These are the same symptoms experienced by soldiers who returned from the Persian Gulf War with Gulf War syndrome,” says Michael Robichaux, a Louisiana physician and former state senator, who treated Griffin and 113 other patients with similar complaints. Only months later, after Kaye H. Kilburn, a former professor of medicine at the University of Southern California and one of the nation’s leading environmental health experts, came to Louisiana and tested 14 of Robichaux’s patients did the two physicians make the connection with Gulf War syndrome, the malady that afflicted an estimated 250,000 veterans of that war with a mysterious combination of fatigue, skin inflammation, and cognitive problems. Within days, she was coughing up blood and suffering constant headaches. She lost her voice. “My throat felt like I’d swallowed razor blades,” she says. how much oil is still in the gulf and can’t be cleaned up and removed? Over three months, oil leakage in the Gulf of Mexico created the biggest oil disaster in the U.S. Scientists estimated 184 million gallons were spilled, 18 times the amount spilled by the Exxon Valdez. impact of the Exxon oil spill lasted for decades. In 1989, the Exxon Valdez crashed onto the shore of Prince William Sound in Alaska, contaminating 1,300 miles of coastline with 250,000 barrels (11 million gallons) of oil.The tourism industry immediately lost over 26,000 jobs and more than $2.4 billion in sales. By 2003, it still hadn’t recovered completely. google how much oil is estimated to remain in the gulf? The 2nd largest oil spill was an intentional act of war in Iraq in 1991 – Gulf War. Persian Gulf, Kuwait. ??? find video expl. guardian article or other … ??? Imagine a country without National Parks. Imagine a land with oil fields instead of geysers, mountains littered with construction equipment, the greatest trees in the world laying, stricken from their roots. Imagine a country with no Grand Canyon. Recently, the new Republican government has paved the way to opening up these sacred lands to be sold and/or used for drilling or development. This is one of the most solemn moments America has ever seen. Donald Trump has already signed executive orders which, if passed, will revive the Keystone XL and Dakota Access pipelines. Along with censoring the EPA and the National Park Service, these movements could lead to many lands, and the Parks themselves, being sold off to companies and developers, letting them be turned into pipeline sites, real estate, or mining sites for gas, coal, and oil. This would turn our National Parks to nothing more but dumping grounds and building sites. Stand up. Speak up. Don’t let this continue! Don’t set a precedent letting the government butcher our lands and drain them of their beauty! Next What is an Archetype?